GTS Car rental services an online booking cab service offers its customers reliable and premium intercity and local cab facilities. Choose GTS cab service from Delhi to Dehradun at cost-effective rates. Facilitated with the customer friendly taxi service in Delhi, GTS Car Rental takes you through the easiest way of online taxi booking, choose everything you require and we will bring you the best as it could be possible. One of the best ways to go through all those mesmerizing places; one has to choose the best Cab Service in Delhi. GTS Car Rental Service provides a huge variety of taxis for one-way car rental service and off trip round taxis from Delhi to Dehradun. With all those reliability, we offer cheapest or low rates at booking a Taxi in Delhi. The journey starts from the capital of India, Delhi a perfect tourist destination in itself. This city a blend of ancient old history and urbanization is the most visited place. A tour of Delhi leaves you excited and mesmerized. The capital city of Uttarakhand is known for its chilly weather and picturesque landscape. Perched at an altitude of 2100 feet, it is popularly known as the Doon Valley. The place is blessed with beautiful natural surroundings and pleasant weather. It lies at the foothills of the Shivalik Ranges and has River Ganga flowing to the east and River Yamuna at the west. Also, the well-connected routes towards the Himalayas make it a popular destination. Dehradun is also the gateway to many destinations of Uttarakhand like Mussoorie, Nainital, Haridwar, Rishikesh, and Auli. The Indian military academy, forest research institute etc are worth visiting sites. Dehradun via road from Delhi is approx 5hrs 30 min distance. The distance from Delhi to Dehradun is ideal for a road trip that is best explored with a chauffeur-driven cab. You may halt at your convenience anytime, anywhere and enjoy your short break. With GTS user-friendly website, you can book taxi online in a few simple steps and avail a hassle free car rental service. Hiring a cab ensures that Delhi to Dehradun Distance will be covered in optimal time. GTS provides well-trained drivers; you don’t have to bother about refueling, dangerous terrain or traffic on the way. Book a cab according to your convenience and rates. Make your trip an ever-lasting affair. 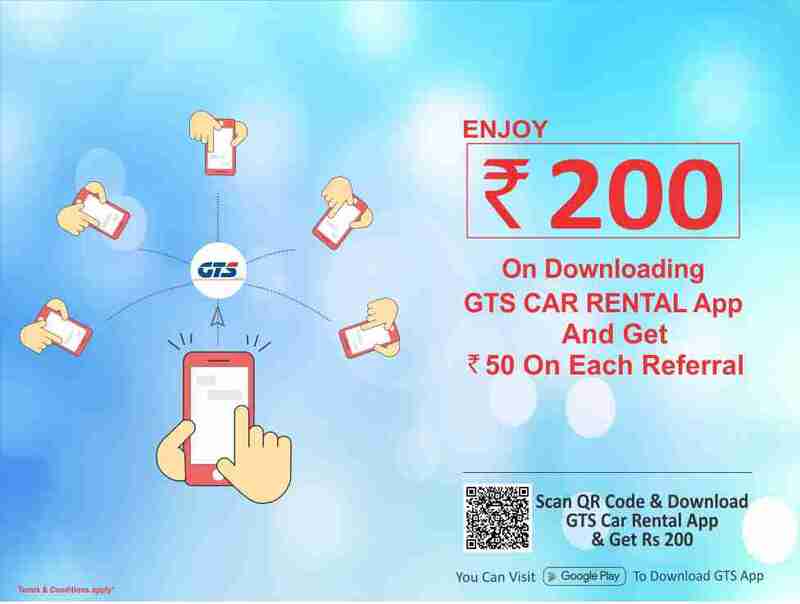 Booking is much easier with GTS Mobile App and also get exciting offers with online booking. GTS Car Rental also provides its clients local pick-drop service, outstation, one-way trip, round-trip taxi services in Delhi. 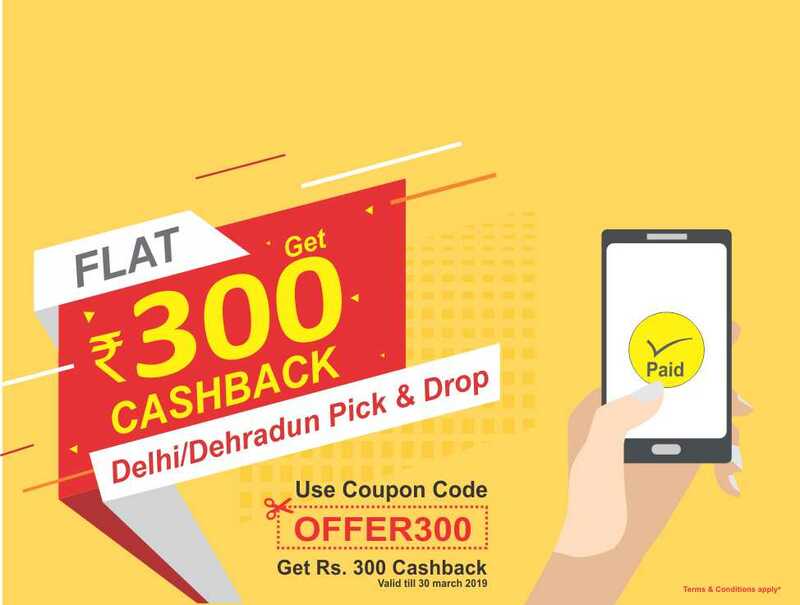 Pick Drop facility from Delhi airport and railway station. We have all kinds of Car services which customer likes to get AC/NON-AC Clean cars with huge luggage capacity are available with GTS Car Rental. You can simply give a call to 8191-00-8191 or use GTS Mobile App to book a cab and get the most affordable and reliable car rental deals for your journey.